Few years back, a man started working with a vision to make best movie of Indian cinema and good thing is, he accomplished it. Yes we are talking about director S.S. Rajamouli whose finest directorial movie Baahubali is soaring high at box office. From its release, movie is setting new records in Indian Cinema and heading towards to create history. Baahubali was released last Friday on 10th July globally on wide number of screens in Telugu, Tamil, Malayalam, Hindi, English & French. On its opening day, it has started with grand opening of 50 crores which is the highest opening collection made by any movie in India. Within 2 days of release, it grossed 100 crores which is generally a lifetime figure of movies for which they dream of. Till the end of its one week, it has minted total 250+ crores from its Indian screens. 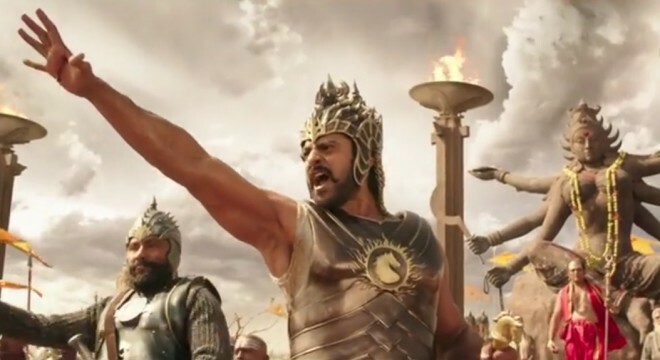 Baahubali is itself a record for Indian Cinema, the biggest movie ever made in India. Its a pride for us, that a movie which made in regional languages has released internationally and proudly running across the globe. Everyone who watched it, just got stunned with its direction, music & especially its VFX. 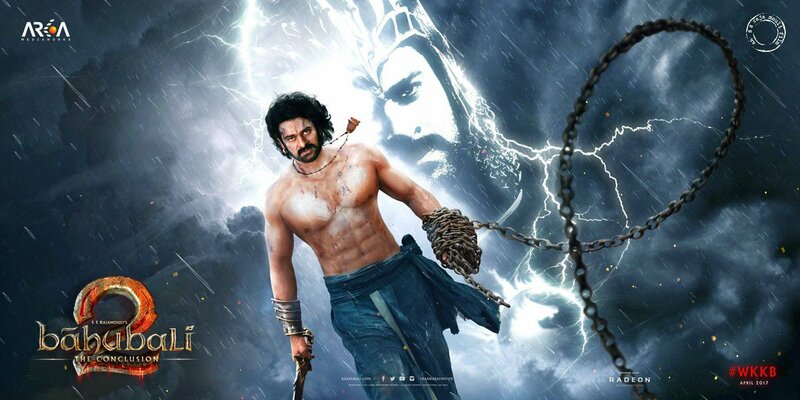 On its first day, Baahubali (Hindi) has done the business of 5.15 crores which is the highest amount grossed by any Hindi dubbed movie in India. On its second day being the weekend movie showed good growth and made collection of 7.09 crores and 10.11 crores as its third day i.e. Sunday collection. Till the end of its first weekend, the movie has made total collection of 22.35 crores only with its Hindi screens. In weekdays, Baahubali was expected to face drop in its business as generally happens at box office. But it has proved the fact wrong and raked 6.10 crores on Monday, which is higher than its first day collection. On next day i.e. 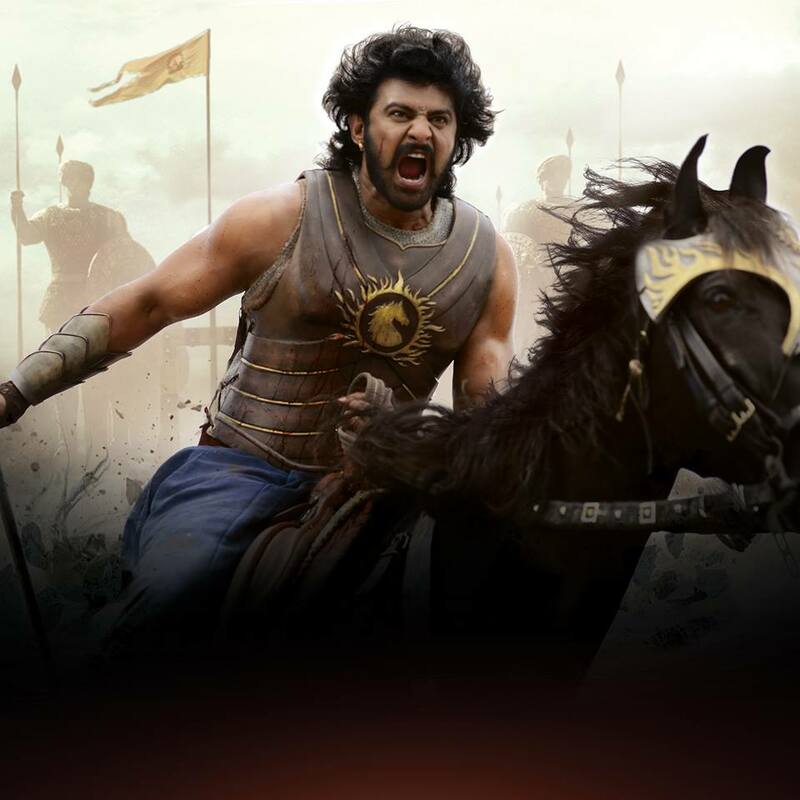 on its fifth day, Baahubali again showed growth and raked 6.15 crores. Then on the next day i.e. Wednesday, movie done the business of 6.05 crores with considerable drop but on its last day of week it again raised up to 6.12 crores. Till the end of its first week Baahubali has made total collection of 46.77 crores which is phenomenal. Now second weekend of the movie has started and it is expected to take rise again opposite to Bajrangi Bhaijaan & new Tamil release Maari.